Parmalat Africa is part of the French international dairy company Lactalis and is one of the major players in the Southern African dairy industry. It has operations in South Africa, Zambia, Botswana, Swaziland and Mozambique. 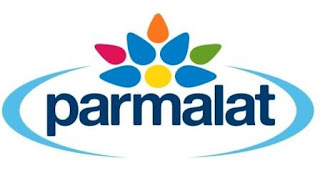 This exciting career opportunity at Parmalat SA will enable you to apply your business acumen to ensure that the company achieves its challenging objectives during the next phase of its growth in South Africa. The available position is that of Credit Controller as part of the Debtors and Creditors Team, Parmalat SA. Preference will be given to candidates who are passionate about ensuring that our company succeeds, and who have the right skills and competencies. Minimum three years’ experience in a retail finance environment. Working in an FMCG environment would be advantageous. Computer Literate (MS Office, Word and Excel). Knowledge of BPCS would be advantageous. Able to work effectively and independently. Strong communication and telephone skills. Account reconciliation and payment processing. Follow-up on outstanding balances (queries).